90/10 poly/Spandex jersey blend, gently contoured silhouette, cadet collar with contrast piping, tag-free label, contrast reverse coil zipper and cuff binding. Contrast trim at front pockets and thumbholes, too. 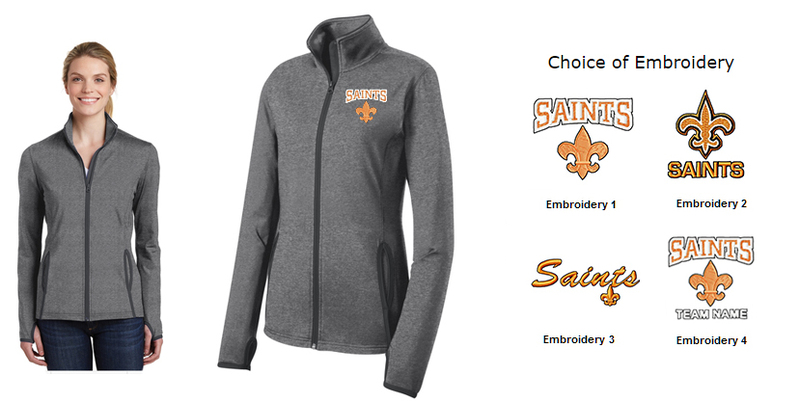 Select Size and Embroidery Option. If customizing, please select your team or group name from the list. If it doesn't appear in the dropdown menu, please select "other" and enter it into the cart text box.